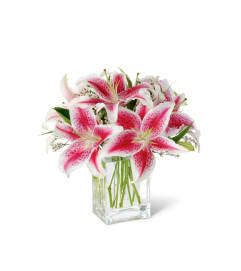 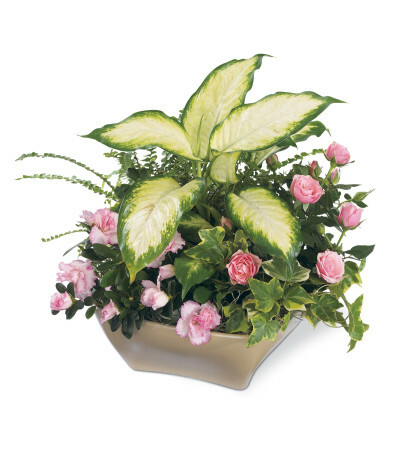 Send expressions of sympathy with a dishgarden filled with green and blooming plants. This taupe ceramic dish is filled with variegated ivy, dieffenbachia, fern, a 4" pink mini rose and a 4" pink azalea. 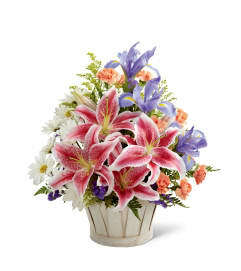 This "Garden of Grace" will be a beautiful reminder of your thoughtfulness.